(Reuters) – Average palm oil prices are set to climb this year, a Reuters poll showed, buoyed by slowing output-growth in top producer Indonesia and by robust demand for the commodity which is used to churn out products ranging from chocolate to biofuels. Benchmark palm prices will average 2,375 ringgit ($574.09) a ton in 2019, up 3 percent from 2,308 ringgit last year, according to the median estimate from a poll of 18 analysts and industry players including planters, millers and refiners. “The price outlook in 2019 should be slightly better than in 2018 as the trees need to rest,” said an Indonesian planter, who estimates the country’s output will peak between June and September. The median estimate of the 9 poll respondents who answered questions specifically on Indonesia’s palm sector pegged the nation’s production at 43 million tons in 2019. That would be up slightly from the Indonesia Palm Oil Association’s 42-million-ton estimate for 2018, but would mark slower growth than last year’s jump from 36.5 million tons in 2017. Output in No.2 producer Malaysia will rise to 20 million tons in 2019, based on the median estimates of 10 participants. They forecast production would peak between October and November. That would be only a marginal rise from 19.5 million tons in 2018, which respondents said was due to factors such as the aging of trees. Indonesia and Malaysia together account for nearly 90 percent of global palm production. 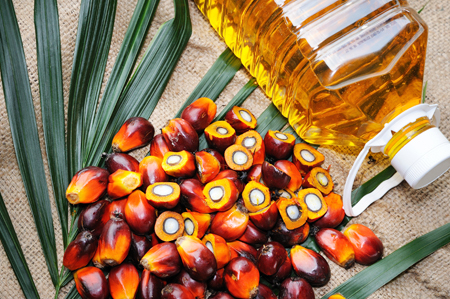 Growing demand for palm from biodiesel producers is expected to support prices this year, with the Indonesian and Malaysian governments pushing the use of biofuels. Indonesia in September required all diesel fuel used in the country to contain biodiesel, while Malaysia is set to increase the amount of biological ingredients that fuel must contain. “Peak stocks won’t mirror last year’s highs due to better export demand, higher domestic consumption for biodiesel and lower 2019 production,” said the planter in Indonesia. Survey respondents expect demand in key export markets to rise this year, largely driven by top-buyer India where import duties have been cut. India reduced import taxes at the start of the year, though the rates are still higher than before an initial hike from last March. However, downward pressure on prices for rival oilseed soybeans amid the Sino-U.S. trade war could also drag on palm markets in 2019, some of the respondents said.